This time of year, we often hear about car accidents caused by roads covered with ice and snow. That’s been especially true this winter, as Boston and much of New England has been brutalized by one major winter storm after another. It is easy to dismiss these accidents as being due to the weather and think you don’t have a car accident negligence case, but that is not always correct. While sometimes an accident is truly an accident where no fault is involved, many crashes in winter weather are due to an at-fault driver operating in a manner that is not safe for existing conditions. According to a recent news article from My Fox Boston, more than 20 cars were involved in a major automobile accident on Interstate 95 near Waltham. Authorities say an accident occurred early Sunday, and wreckage caused all southbound traffic to be stopped on the interstate until 8 p.m.
Police are not yet sure how many people were injured but do know there were several injuries. Two fire departments were needed to respond to treat all those injured and help remove wreckage from the highway. While this was occurring, witnesses reported a second major car crash on Route 128. Boston car accident lawyers understand the law in the Commonwealth of Massachusetts requires anyone operating a motor vehicle to do so in a way that is safe to others sharing roads and sidewalks. 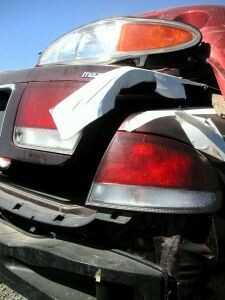 This is known as one’s duty of care and is one of four elements that must be established in a car accident negligence lawsuit. Basically, one of the main requirements of a duty of care when driving a car is to make sure to leave enough space between your vehicle and others, so you can stop in time and otherwise avoid a collision. Everyone who has ever had to slam on their brakes knows it takes a considerable amount of time for a car to come to a complete stop when driving at highway speeds, even under perfect conditions. When roads are covered with ice and snow, it takes considerably longer to come to a complete stop. If a person is giving the car in front of them enough space to come to a complete stop in normal conditions, but the roads are covered with ice, they may be driving in a negligent manner. If a driver is then forced to slam on his or her brakes and does not stop in time due to icy conditions, he or she is not excused from being negligent due to the road conditions. It may be easy to blame an accident on icy roads. It may even be true an accident would not have happened had roads been cleared. However, one’s duty of care to drive in a reasonably safe manner is determined based upon actual conditions existing at the time. Since everyone knows or should know it takes longer to stop on icy roads, the duty of care requires drivers to leave more room between vehicles. Failing to do so can be used as proof a breach of one’s duty of care in a negligence lawsuit involving personal injury.